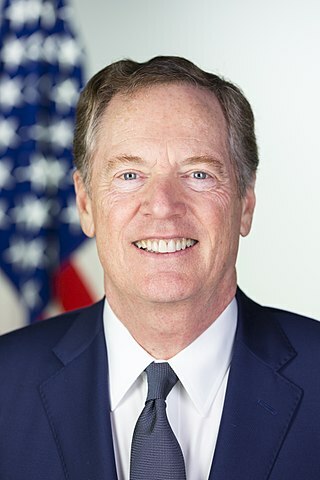 Official Portrait of Robert E. Lighthizer. UK International Trade Secretary Dr. Liam Fox hosted several events designed to reinforce the economic relationship between the UK and the USA. The events took place on October 22, 2018 on board the UK’s Royal Navy’s HMS Queen Elizabeth, docked in New York Harbor. 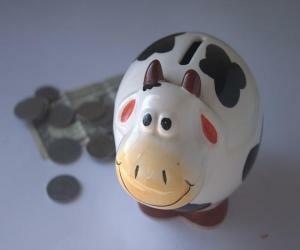 The New York events come in the wake of the announcement by the US Treasury Secretary, Robert Lighthizer, that the US will commence talks with the UK to forge a new US-UK Free Trade Agreement to go into effect when the UK leaves the European Union. The Department for International Trade presented a round-table discussion including some of the UK’s key computer companies. They presented their new technological advances to several US Fortune 500 companies in the hopes of forging some business partnerships. The Secretary, Dr. Fox, spoke during the proceedings. He emphasized the ability of the UK to protect against serious cyber threats as they grow in number and danger. He announced a new sub-committee of the Board of Trade which will investigate what methods UK companies can use to grow the amount of imports in the cyber space, and how UK-US cooperation can improve the fight against cyber-attacks. The floating backdrop of the great ship helped set the stage for Dr. Fox’s joining with the Maritime UK to host the very first Maritime Nations Forum between the US and the UK. The forum focused on the ways these two great sea-faring nations can improve maritime trade and relations.